Information Wanted. Have you seen this? Sometimes I see things and wonder how they are what they are, or why they are what they are. Even I, after collecting so many years have no idea how this can be possible. 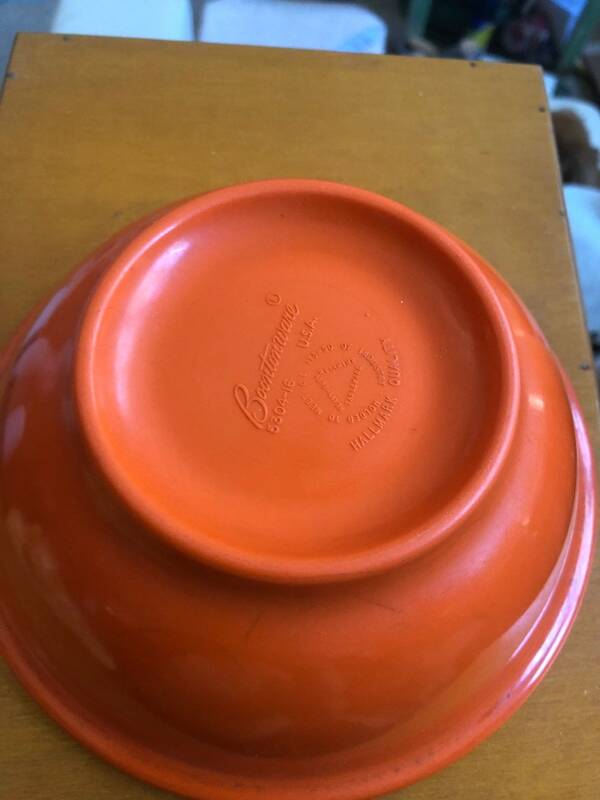 It's no secret that this Boontonware melmac bowl's shape and thickness should actually date it to the 40's or 50's to the earlier lines of plain BOONTON (marked as such) used in restaurants and institutions, yet the design is slightly different. However, there is a hallmark was used for a short number of years "for industry standards" giving it an even smaller window of production. The problem? The color. This color technically should be later, perhaps even 60's. There is evidence of this orange in some lines, mainly SOMERSET, but the items are not molded as thick, with as much melmac. They are thin and not as bulky. So it's a mystery, for sure. Very odd coloring for such a thick Boontonware bowl. 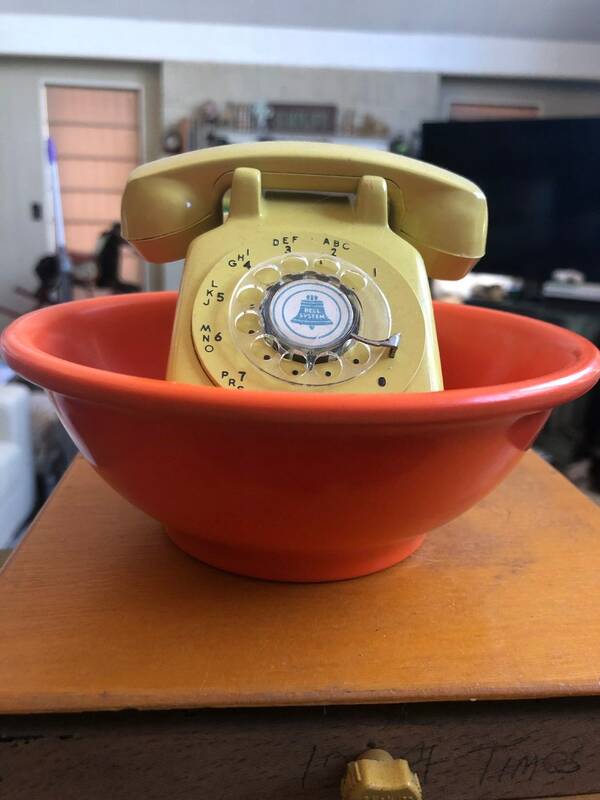 So I ask you, why is the orange on this bowl? It could be several reasons and perhaps we will never know why. An employee could have made the bowl for himself or herself. A customer wanted some bowls made and asked for test of the color. Perhaps a line was made with this exact bowl, but if so where is it? The factory was testing various colors to debut in a new "fall line". 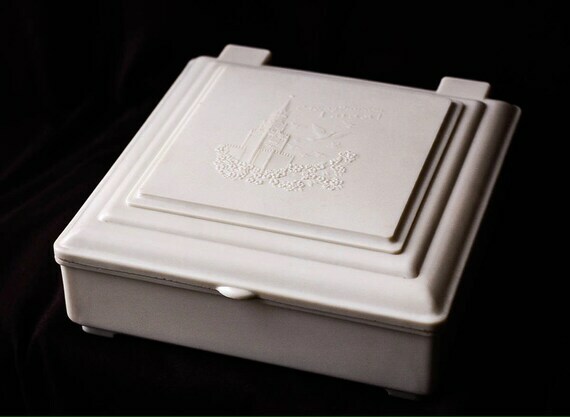 It was something molded for samples to customers or employees. It is a part of a short lived melmac set by Boonton we have not yet found. Akbars10 from Estonia on Ebay is selling this Russian / Soviet Box. When collecting Melmac some collectors streamline into one "brand" or one type. For instance, perhaps you re hooked on Kaye Lamoyne's designs. You are trying to assemble a set of Color-Flyte by Branchell, and your collection may include other items in that line. 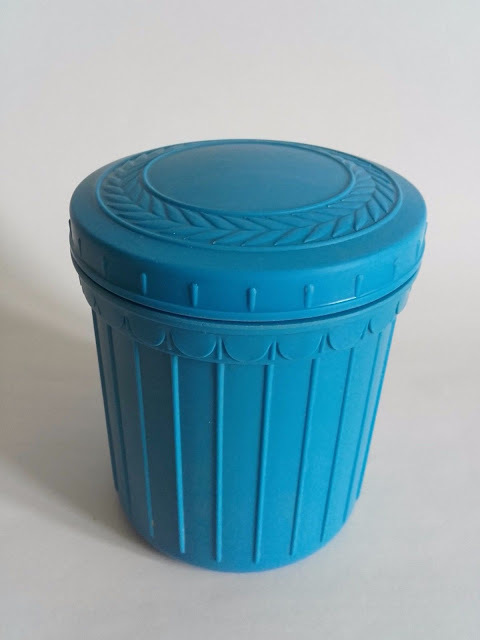 For me, over the years, it's been a pure love of all plastics, and wondering what the rest of the world was doing when America was making so many dishes. Since the internet has become so widely available in other countries we are now able to answer the question, just what kind of plastics were to be had back then? 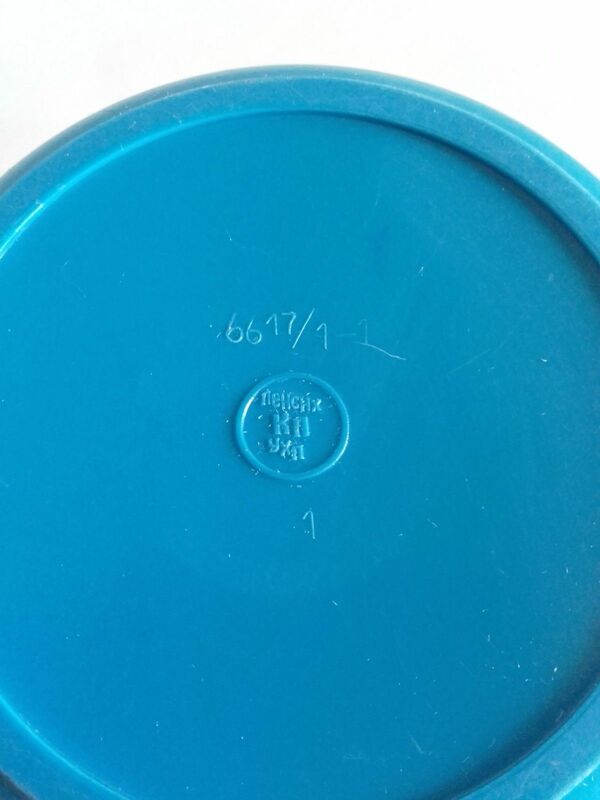 Backstamp of Russian Plastics from Akbars10 Store. I recently came across some wonderful and stunning examples of Russian plastics. 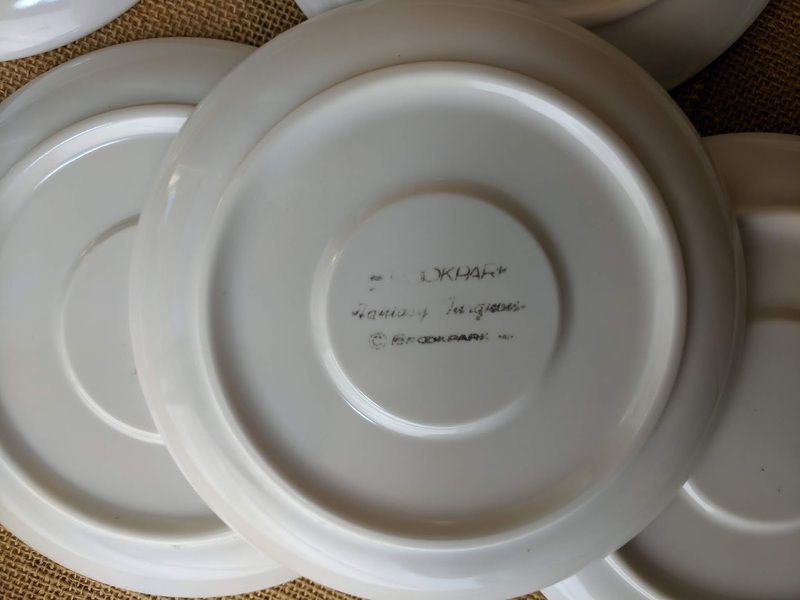 Now of course, I'm going to post and label them what the sellers have indicated, but in order to call them true Bakelite, melamine, etc, we would have to know the chemical composition and do adequate research on what era and what company. 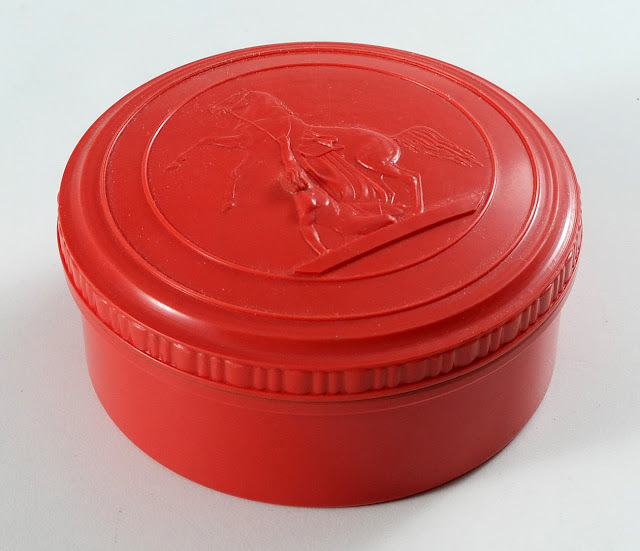 For sake of accuracy, I'd like to say I am not a plastics expert in USSR Plastics as I do not speak Russian (yet.) I'm still trying to pin down my Italian. However, I thought that it would behoove us to see how the other side of the world lived. 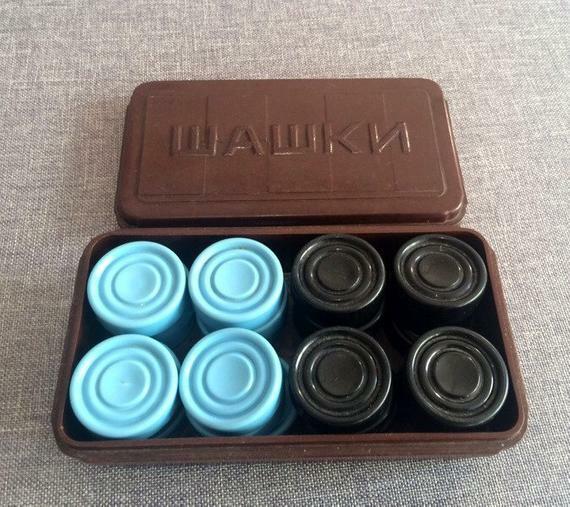 Gorgeous Russian Bakelite? Plastic Box from PIXSTOCK on Etsy. 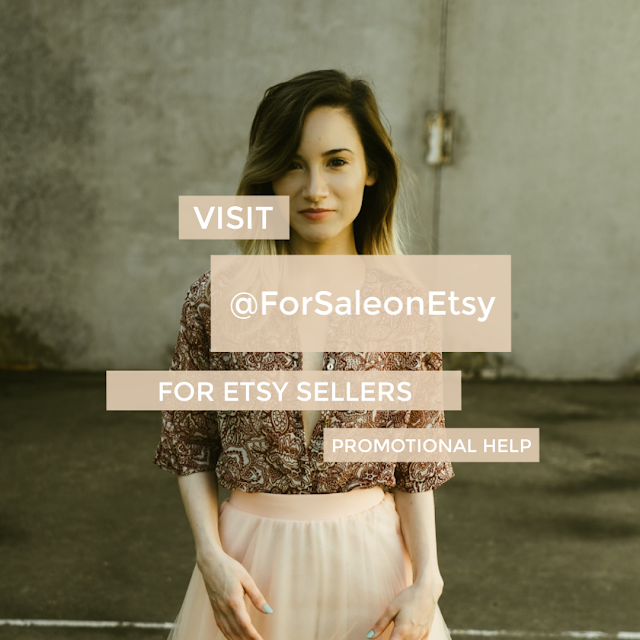 The box up top is listed as Bakelite but it appears to be a type of hard plastic boudoir box, and I found other examples on Etsy that follow. Although the plastic looks to be thick, I am unsure if it is indeed the Bakelite we know having been produced and invented by Leo Baekeland . I will state many old plastics encyclopedias I have read and Plastics Society books do have some of the founding members having been of international origin, some with Czech or German heritage (example: Hans Wanders.) Therefore, this Russian blend of plastic may indeed be made with their version of Bakelite. 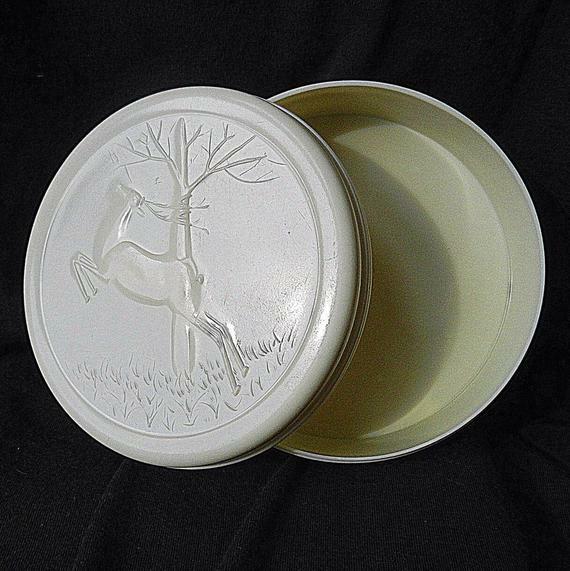 You can see this pretty deer on this box from Etsy shop Bazoor. I also find it curious that animals are subject matter of most of the pretty boxes I have found. Deer, horses and animals adorn the boxes. I wonder if these were made for trinkets, jewelry, or originally held talcum powder or shaving soaps? I am lost in translation, but I can say that if you look closely you can see the discoloration in the photograph of the creamy plastic turning more yellow. This could mean that it is indeed Bakelite! Another box from Bazoor, circa 1960's. Today I was fully prepared to write a post on Russian melmac when I became sidetracked by a listing for Fantasy Brookpark by Joan Luntz. Let me explain to you that when I write this post I write with full respect and awe, that Joan Luntz accomplished so much in her day and have written much on her before. She was a working mother of six (yes six) children, and married to George Goulder, (so she really was Joan Luntz Goulder). 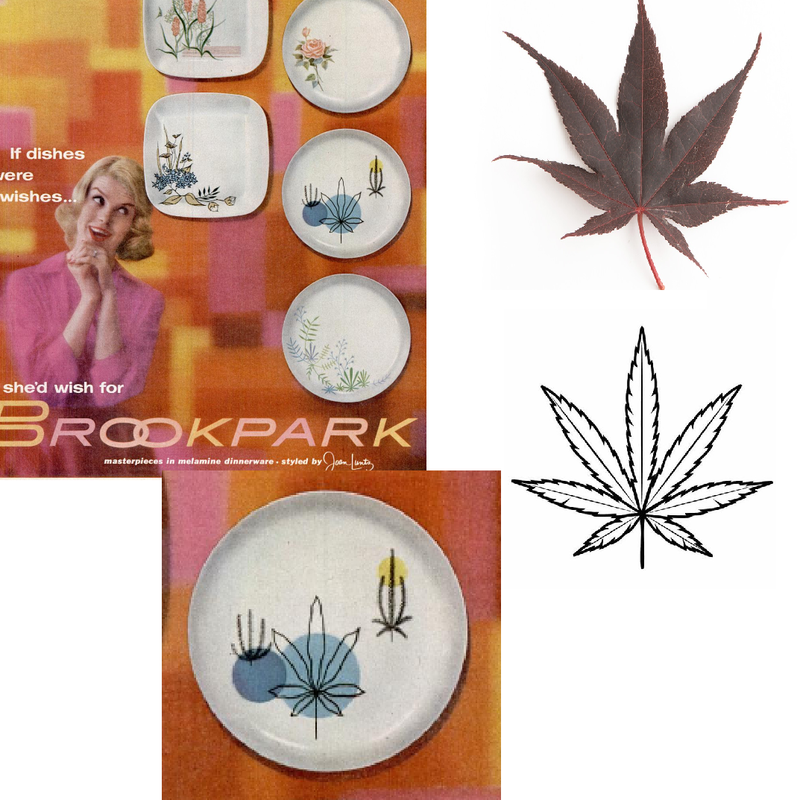 After WW2 George purchased a plastics company, being President of the International Molding Company he would partner with Joan who designed Brookpark melmac dinnerware. 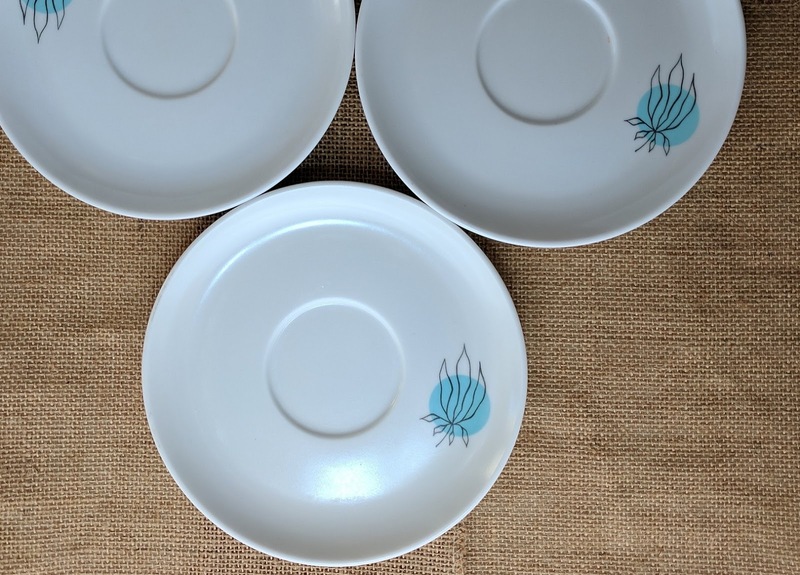 I cannot say enough about what a contribution Joan made to design, or the melamine history! I think she was amazing in that she did so much as a woman in her day. If you recollect the era, circa 1950's women were still fighting to find adequate places in a predominantly male workforce. And doing that while raising six children? A huge accomplishment. 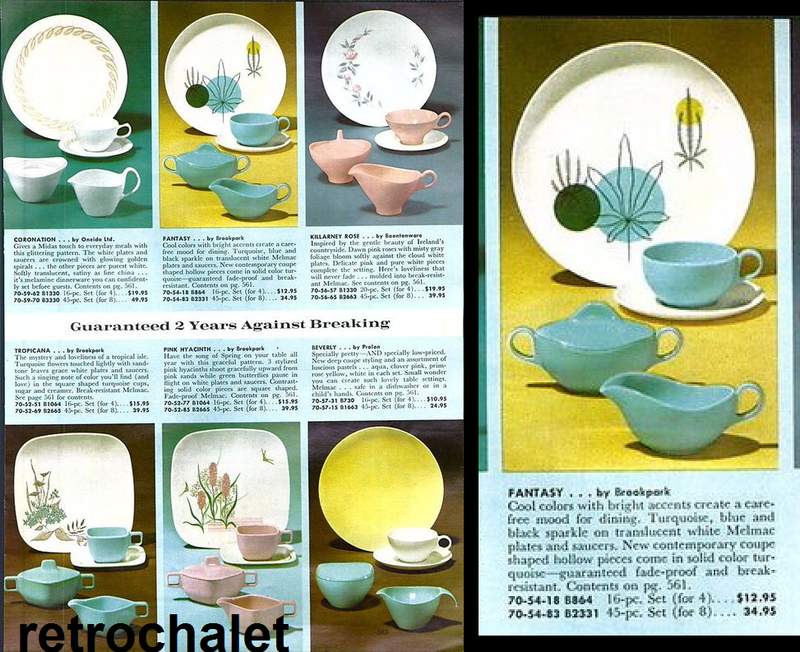 Lastly, but more importantly as it relates to this blog, her contribution to melmac dinnerware and her deigns were timeless, chic, and pretty. She won many awards, received much publicity, and many museums inducted her creations such as the Modern Museum of Art. Photo of Fantasy Melmac Line is actually shown in her Obituary ! Refer to article / Obituary on Joan here in the Cleveland Jewish News. 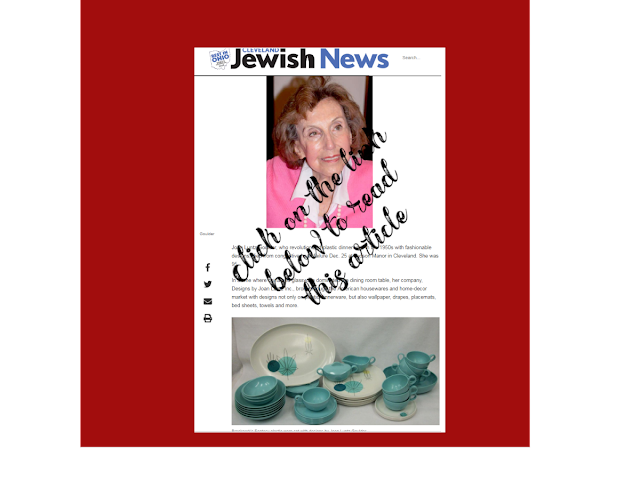 I recently came across her obituary, which I encourage you to click on the photo or link above to be taken to the Cleveland Jewish News and read. I am a little bit sad to know she passed on Christmas day. I for one learned some interesting things reading it. So with this post I write respectfully about Brookpark and in particular the line called Fantasy. 2. It's hard to identify as the Backstamps Are Most Likely Washed Away. Another plausible possibility is maybe no one knows what to call it if they do find it, since it's usually unmarked (and unless they really do their research. )The plates themselves were white with outlines designs reminiscent of leaves, herbs, apothecary. The accompanying pieces were blue, solid turquoise. Most of these pieces maybe have been umarked or ink-stamped. This picture proves my theory as shown in Thifty Doodads Etsy Shop. (* Brookpark was known to ink stamp in black ink some of their pieces, which made it difficult when trying to identify lines thirty to sixty years later. I actually washed a set of Pink Hyacinth by Brookpark (from the same timeframe) and washed the backstamps clean off!) I confirmed this by actually finding a lot of Fantasy, and checking out the backstamps above. They were definitely inked! 3. It's Quite Possibly A Very Small Production Run. I found it in May 1956 Magazine, up until 1959. I have not been able to find out the exact dates of production, but this gives a three year run. That's not a whole heck of a lot of pieces. Additionally, it was up against other lines being introduced around the same time. For instance, Pink Hycianth, which was in my opinion more popular and more desirable (it was pink and white and if you look in the ad on top this post you'll see how pretty, oh so pretty....) I have found much of this pink and white in my travels and it is still easy to put together a complete set to this day. Top Right: Bloodgood Japenese Maple leaf vs "Pot" leaf below right. Note that the leaves on the Fantasy line are freeform ferny style plant leaves. I hope if the family of Joan reads this they won't think I mean anything disrespectful to her, but I have gotten a lot of inquiries over the years "Hey, what's the pot leaf design on melmac name?" and wondered just what the reader was talking about. Now I see that that leaf structure on the plates does resemble a bit of Cannabis Sativa leaf. If you note that the pattern of the largest leaf has a five top leaf spread and then two tiny bottom leaf patterns. This is exactly that of some photographs of hemp/Marijuana leaves. Although I am unsure just what the leave was, I myself thought that it represented a tree that I grew up with, a cousin of the Japanese Maple---more in referred to as BLOODGOOD JAPANESE MAPLE. I am unsure and if anyone from Joan's family reads this blog, maybe they can shed light on the leaf itself. However, all look ferny and fantasy like with the mod dots behind them. 5. It comes in more than one color palette- look for brown hues and the blue hues. Although all my above talk above shows the blue on white design accompanied with solid blue pieces, I have posted an article before where the pieces were actually brown hues, with brown or tan solid pieces. Look for both in your travels. To me, both are elusive. See the brown pieces in my earlier post on Joan, Arrowhead, Brookpark and Fantasy here. WHAT IS YOUR MELMAC WORTH? CLICK HERE! 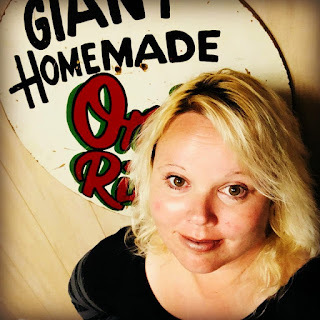 Follow me for the best tweets, instagram or on Facebook!